A storm is set to hit Wales later but the strongest gusts are due to be weaker than first expected, the Met Office has said. 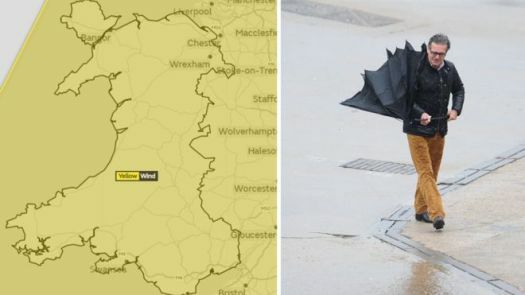 Storm Helene is due to arrive later on Monday with a yellow “be aware” warning from 21:00 BST. It is expected to last until 18:00 on Tuesday. Winds are likely to reach 40mph to 50mph with top gusts of up to 60mph. The Met Office has warned of delays to road, rail and air services while power loss and tree damage is “possible”. The warning was originally for west Wales but it has since been extended to cover the whole country. “The wind will pick up as the storm moves across us,” said Rhian Haf, BBC Wales weather presenter.